Siemens Combustion Controls, also known as SCC Inc., offers gas valves, control motors, flame safeguards, electronic burner management systems, temperature and leak test controls approved for use world wide. Siemens combustion products feature modular construction for single source simplicity. Component compatibility assures low installation and operating costs plus dependable, safe operation. Rigorous quality testing optimizes reliability and process performance. 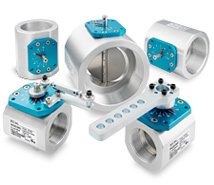 Cici Boiler Rooms sells Siemens LMV5 components, Siemens LMV3 components, Siemens flame detectors, Siemens actuators, Siemenspressure switches, and Siemens gas valves. LMV37.420A1 Single Fuel Control unit 110 V, 50-60 Hz. AGA92.1 VKG manual fine position adjustment kit. AGA92.2 VKG manual coarse adjustment kit.